At Cryo Energy we strive to provide you with world class Cryotherapy services. Come experience our premier 2-3 minutes cold therapy treatment in subzero temperatures that helps with pain management and recovery. Cryotherapy involves lowering the skin temperature for a short time to encourage a recovery response. The exposure to a cold stimulus activates the nervous system and forces blood vessels to constrict, which will reduce inflammation. Blood is re-oxygenated when pulled back into the body’s core. Anti-inflammatory proteins, endorphins and natural opioids are released into the body, successfully alleviating pain and giving off sensations of euphoria because of the activation of the nervous system. When the brief two-to-three-minute session has completed, freshly oxygenated blood will rush through your body carrying nutrients and enzymes to speed recovery. Top atheltes like Cristiano Ronaldo, Lebron James, Floyd Mayweather and more have turned to cryotherapy to help boost their recovery and increase their performance. The healing benefits of cold therapy have long been a part of the recovery process and that is why athletes use cryotherapy to train harder, longer, and reach peak performance. Cold therapy treatments have been used in the health and beauty industry for years to maintain the skin. 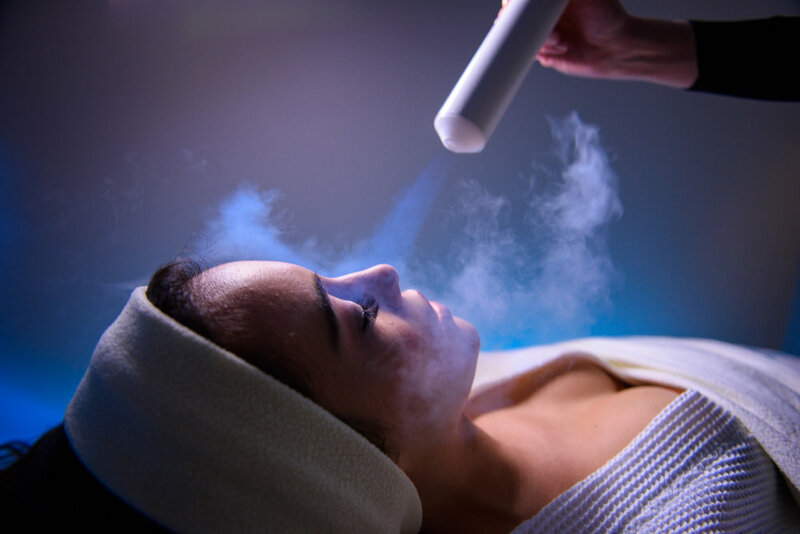 Cryotherapy treatments can be used to treat aging and various skin symptoms by increasing cell rejuvenation, improving skin tone, reducing signs of wrinkles, promoting skin tightening, and boosting collagen levels.